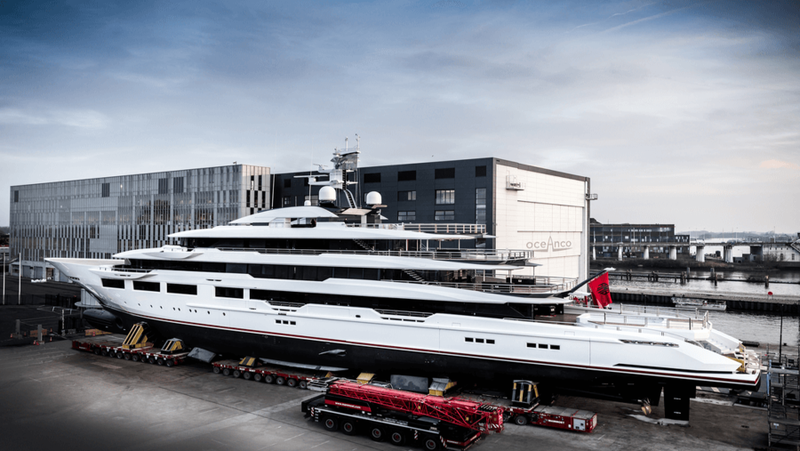 Oceanco’s 90-meter DreAMBoat (Y716) is a first-time design collaboration between Espen Øino International and Terence Disdale Design. At 2950GT, the volume allows for luxurious accommodation for up to 23 guests and a well thought- out crew’s quarters for a maximum of 33 crew members. The generous overhangs from the superstructure and cut outs in the bulwarks lend a classic and strong appearance. The design emphasis is on large windows that flood the interior with daylight and offer unspoiled views from the inside out. Outside spaces feature a large swimming pool on the main aft deck, an enormous partially enclosed sundeck with Jacuzzi and copious options for seating/ entertaining. There is also a private Jacuzzi on the Owner’s deck. The interior design is sophisticated and serene with Disdale’s inimitable attention to detail. Nearly everything onboard from furniture to lighting is custom made. Following his philosophy not to gild the lily, Terence Disdale, has created an interior that incorporates bespoke surfaces, natural wood, limestone floors, semi-precious stone vanities, parchment, leather and mother of pearl. The effect is chic without being overdone. 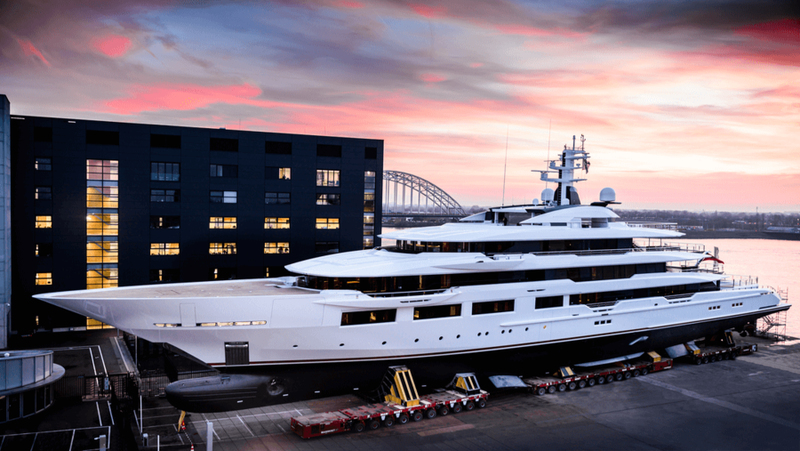 “It has been an intense project, but with some clear direction from the Owner, excellent collaboration between Espen Øino, Terence Disdale Design and Oceanco, we have achieved a great deal and are poised to deliver a stunning yacht,” says Dan Jackson, the Owner’s representative. DreAMBoat is currently being commissioned for impending sea trials and is on track for delivery before the summer season. It is interesting to note that DreAMBoat is Oceanco’s 33rd yacht in its 33 years of existence.